Among the most popular reeds in the world. 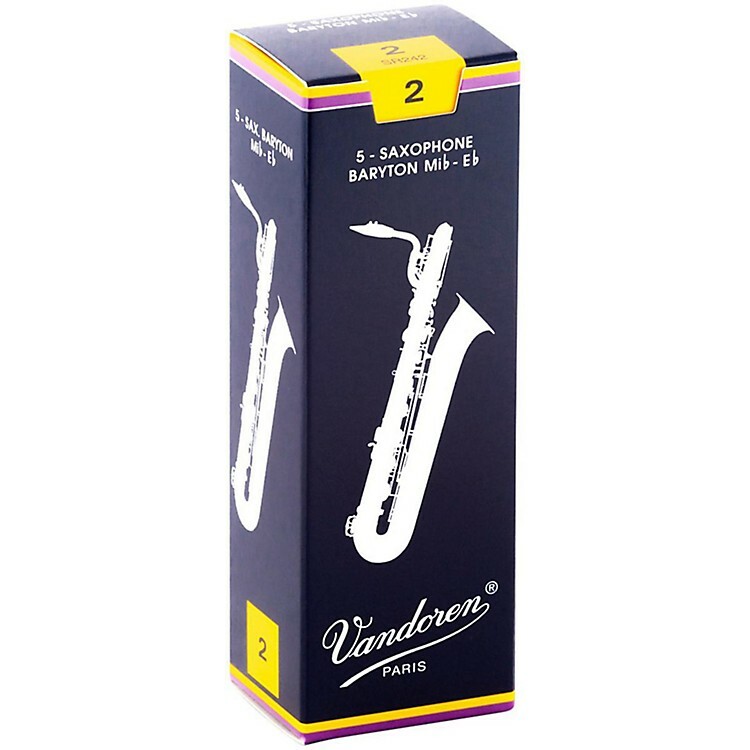 The Vandoren SR242 baritone reeds are designed to produce an extremely pure sound quality due to a very thin reed tip and by being balanced by a solid vertebral column (more cane in the area which climbs gradually to the heel). These reeds are recognizable by a straight line to delineate the limit of the bark area.